Home » Blog » Breastfeeding to Doulas, In a Much Needed Area! Breastfeeding to Doulas, In a Much Needed Area! Each year bebo mia set aside a small scholarship fund for their Maternal Support Practitioner Program (aka Doula Certification). Each year we talk with the most unbelievable women, strong, supportive women who are true community leaders. Often times, these women do not have the resources to jump into a doula training, but want it so bad I can feel it in their voice or their stories. This year a whole group of women showed up at our (online) door, and we could just tell they are here to make big changes, and we cannot wait to watch that happen! Velvet Escario-Roxas is a Filipina doula. She has been a breastfeeding peer counselor since 2002 and has trained more than 4,000 breastfeeding peer counselors at the community level in 20 cities and municipalities of the country in programs funded by the World Health Organization and the Philippine’s Department of Health. Velvet has done breastfeeding and relactation rescues in areas devastated by natural disasters, most especially in Typhoon Ondoy/Ketsana (2009) and Typhoon Yolanda/Haiyan (2014). Her work on Maternal, Infant and Young Child Nutrition has garnered her recognition such as “Unsung Women Heroines Award” by Soroptimist International (2013), “Gawad Geny Lopez Bayaning Pilipino” (Filipino Hero Award) by ABS-CBN Corporation (2014), and “Southern Leyteños Young Achievers Award – Women in Development” (2015). The eight mothers of the Pinay Doulas Collective (Pinay is slang for Filipino women) are breastfeeding mothers who met in the online community called “Breastfeeding Pinays”. Breastfeeding Pinays (BFP) is a thriving online support group of over 55,000 (Aug 2015) mothers, fathers, doctors, health professionals and breastfeeding advocates. As the community was growing, Velvet who is one of BFP’s founders, spearheaded breastfeeding peer counselors’ trainings among its members to assist the growing needs of the community. As the months passed and the peer counselors are assisting more and more mothers, here sprang forth Velvet’s bigger dream of helping mothers from pregnancy, childbirth and postpartum. 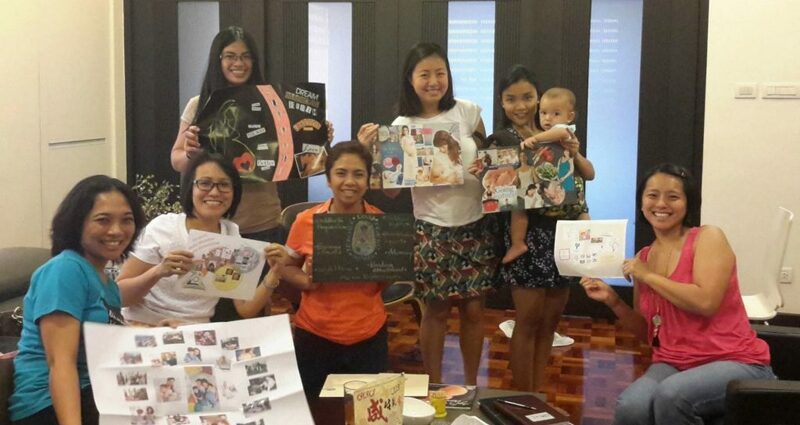 Velvet invited seven women to create the Pinay Doulas Collective. The primary advocacy of the members of the collective is breastfeeding. We believe that breastfeeding is the best way to decrease infant mortality and increase quality of life for Filipino families. According to UNICEF, 16,000 Filipino babies die each year because they were denied breastmilk. The average duration of exclusive breastfeeding in the Philippines is 24 days and only 1.4% of babies 6-7 months are still exclusively breastfed. As a result, 12% of Filipino infants below one year old and 32% of one-year-olds are underweight. According to the WHO, the Philippines spends PHP 430 million (9.3 million USD) annually for hospitalization, health consultations and medicines for illnesses due to formula feeding. Families in the Philippines, around 25% of which live below poverty lines and earn around PHP 150 (3 USD) per day, spend a minimum of PHP 2,000 (43 USD) monthly on formula milk. Discussions in Breastfeeding Pinays about breastfeeding concerns and challenges often continue to discussions about birthing experiences. Informal surveys in BFP tell us that the rate of cesarean births is the Philippines is way beyond the acceptable 10-15% range set by the WHO. In fact, there are maternity nurses in private hospitals who say that their institution delivers roughly half of babies under caesarean births. Support for mothers is also severely lacking. Our experience in counseling tells us that many pregnant women continue to be intimidated by the medical professionals and establishments into procedures that are not evidence-based. Implementation of the Unang Yakap Protocol (Essential Newborn Care) is not done by a good number of hospitals. The ENC Protocol is a step-by-step guide for health workers and medical practitioners issued by the Department for Health for implementation under Administrative Order. Unfortunately, even with an Administrative Order mandated by law, many medical establishments still have a policy of separating mother and baby for 24 hours for “observation” purposes. The practice of midwifery is likewise undermined. To illustrate, during a legislative hearing meant to review a city ordinance banning homebirths, the representative of the city health office, an OB/GYNE, bluntly declared that doctors do not study for ten years just to allow women to birth at home assisted by a midwife or a traditional birth attendant. According to the Philippine Family Health Survey, the Philippines has a high maternal mortality rate with 221 deaths per 100,000 deliveries (2011), higher than the 162 mortality rate in 2006. These numbers are very far from the Millennium Development Goal of lowering the deaths to 52 by 2015. We believe that these deaths could have been preventable with correct information, right education, proper diagnosis and intervention. Doulas can work hand-in-hand with health workers and professionals to reduce maternal mortality and help mothers have a healthier pregnancy, healthier births, healthier babies and healthier families. We also wish for women to be treated with respect and dignity, as opposed to the current scenario wherein they are constantly being intimidated and made to feel as if there were something wrong with their bodies during pregnancy and childbirth. We want the health and well-being of the mother and baby to be of utmost priority and avoid compromising these in favor of profit or convenience. It is important for us that women find their voice and are given the tools to tap into their innate ability to birth their babies safely and in a gentle and caring environment. As an organization, the Pinay Doulas Collective is committed to serve Filipino families by providing maternity support services: childbirth preparation, breastfeeding, child care, infant and young child feeding, maternal nutrition through education and support. It is our mission to provide the latest evidence-based procedures and culturally-appropriate options while reminding women of their timeless capacity and irrevocable rights to a peaceful and well-supported child-bearing, birthing and postpartum. Our vision is to create a country, which values women and their capacity to have a gentle birth and nurture their children through breastfeeding. It is our aim that with proper support, Filipino families make informed decisions relying on sound and factual information all working towards achieving personal and family enrichment. In order to serve our community properly, one of the primary objectives of our group is to study and secure certifications to be doulas. 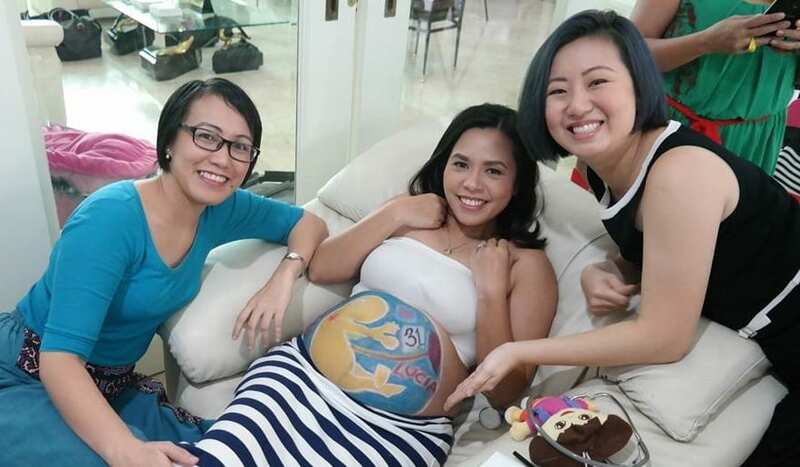 However, there are limited available doula trainings in the Philippines and Asia. For a Filipino woman to aspire for a doula certification means allotting finances for airfare, housing, daily sustenance, all on top of tuition. BeboMia’s online platform breaks these barriers down. It will allow us to complete our training and education without these costs, in the comfort of our own home while taking care of our families, and continuing our breastfeeding advocacy on ground here in the Philippines. The comprehensive curriculum is also an excellent way for the collective to establish roots of learning in all aspects of becoming a doula. Furthermore, since our country is different from that of the training organizers, we deem it important to study becoming a doula with the Philippine context in mind. Working as a team, our group plans to hold hands-on training and study sessions after every 2-3 weeks to fully digest and apply what has been discussed online and we know the bebo mia trainers will be right there supporting us.